To love someone everyday, to care for them and adore them, when they live in the house, town or even country, is one thing. But to care for someone and truly nurture a relationship from across the Atlantic Ocean, is truly incredible. Well, that’s exactly what Megan and Marc did, from meeting on Megan’s holiday to Colorado, to dating across the ocean, and now married in Hampshire, what a journey these two have had! 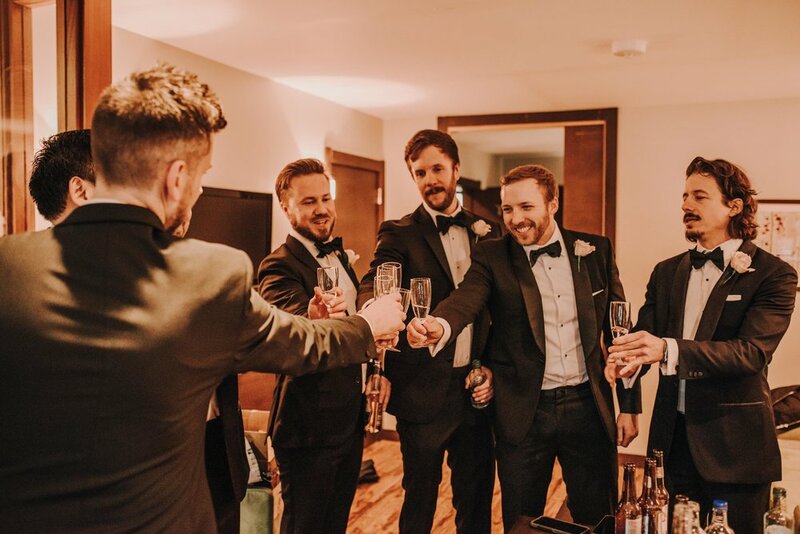 And they even brought their friends along for the ride, with Marc’s groomsmen making the trip across the pond to be with their best friend as he married the love of his life. 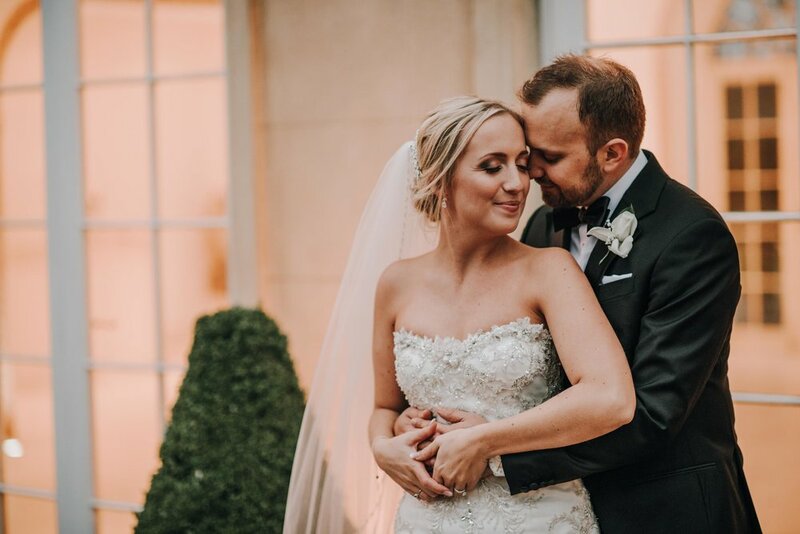 Northbrook Park became the perfect place for these two incredible people to celebrate their love for each other, with enough space for them to accommodate their nearest and dearest friends and family. 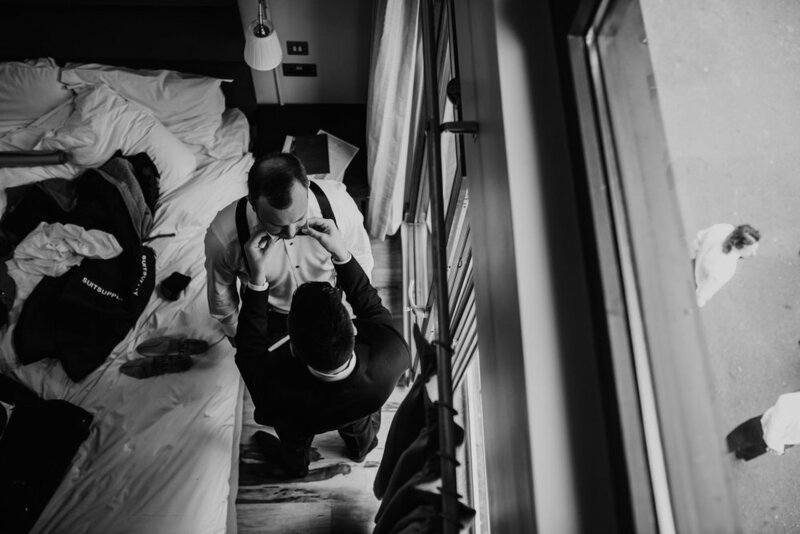 A really endearing experience for us to be there and capture the day for Megan and Marc! Thank you, you guys are an inspiration! 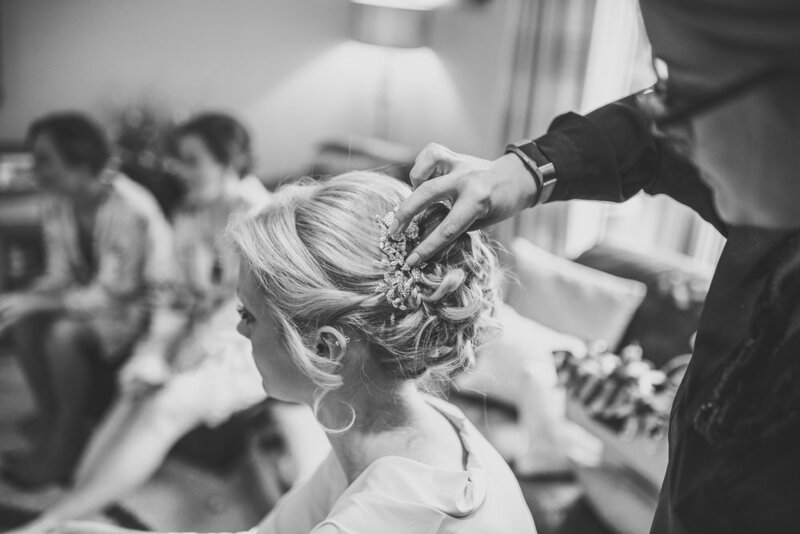 So, the months of planning are over, here we are, bridal prep on your very own wedding day. You might’ve been part of loads of these, as bridesmaids, sisters, maid of honours, but, your own day, is the special one! 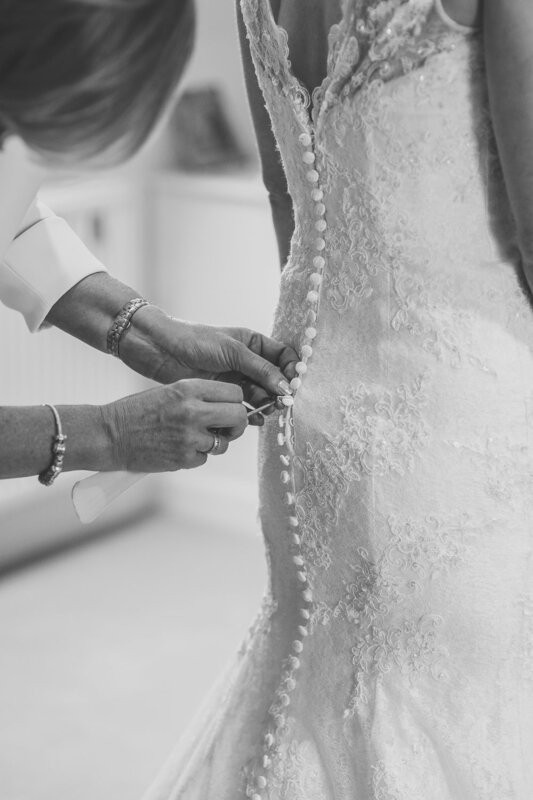 We’ve got a few tips and trick that’ll help everything run as smoothly as possible on the morning of the big day! Wherever you like! Mum’s house, bridesmaids house, venue, nan’s house.. wherever! The one thing to think about, is maybe run around with a rubbish bag the night before and just tidy up a little! Camera’s have a knack for picking up any tiny little crisp packet on a table and showing it off in the photos! 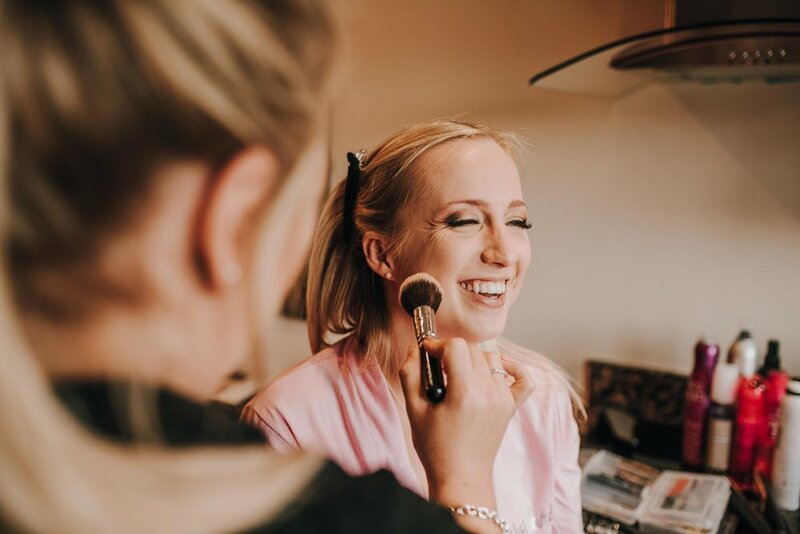 Think about where you’re having your makeup done too, your makeup artist will normally be really good at this, but jamming you in a dark corner doesn’t tend to show up so well in photos… next to a nice bright window is always the best! Presumably the morning of the wedding right? Just kidding, of course in the morning, but the amount of time you give us is really important, you wanna aim to be ready about an hour before you need to leave. 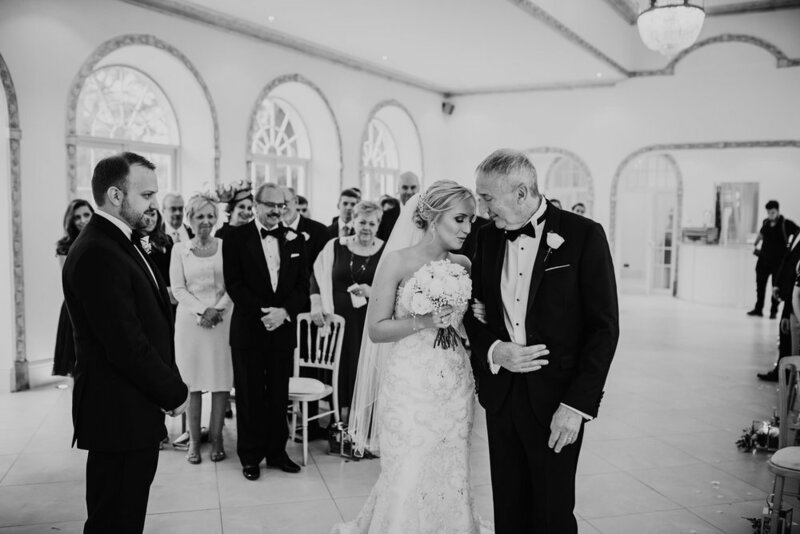 This gives you plenty of time for those first look photos with Dad, time to hand out any little cards/gifts… and just time to chill out with a glass of bubbles and enjoy some time with everyone. Obviously the bridesmaids, flower girls, and really whoever you want there! It’s worthwhile thinking about the proud father of the bride though, if you don’t want him to see you at all before you’re in the dress, then maybe think about where you can stash him, or a friends house he can go to in the morning, because having him wandering around can make for some accidental sightings with half a face of makeup! oops! It’s always lovely when Mum is there, and even Nan if she wants to. 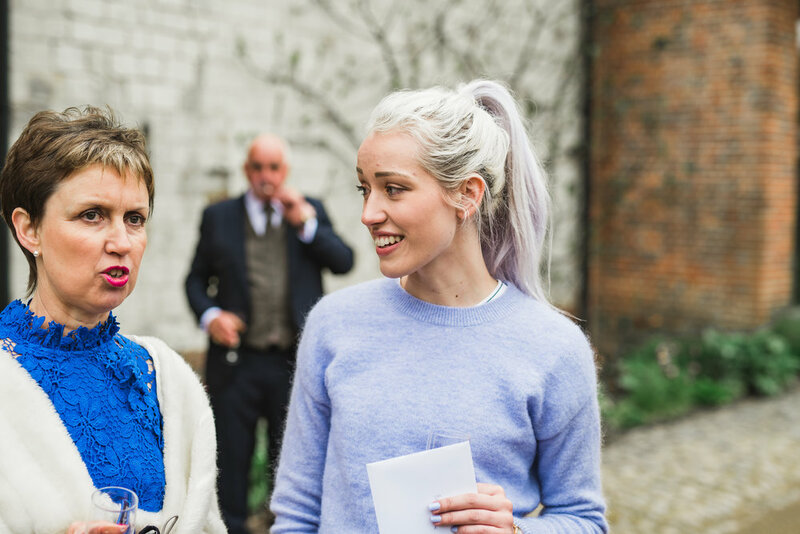 If you’re giving your bridesmaids a little something to say thank you for helping you out, we really do recommend waiting until you’re all dressed up and looking your best! If they need to have them before this though, remember to wait until we’re there, then we can get the best possible photos of their excited faces! Have a think about who you want in the room when you see Dad too, just you and him? The two of you and Mum? Or everybody? We’ll normally arrive about 2.5/3 hours before you leave, this is plenty of time to capture everything you need! HAVE FUN! Enjoy it, don’t sweat the small stuff, and just have fun! Have a drink or two, make sure you eat food and just enjoy the whole day as it comes! Whether it's an outdoor civil ceremony or indoor reception, the day is yours. 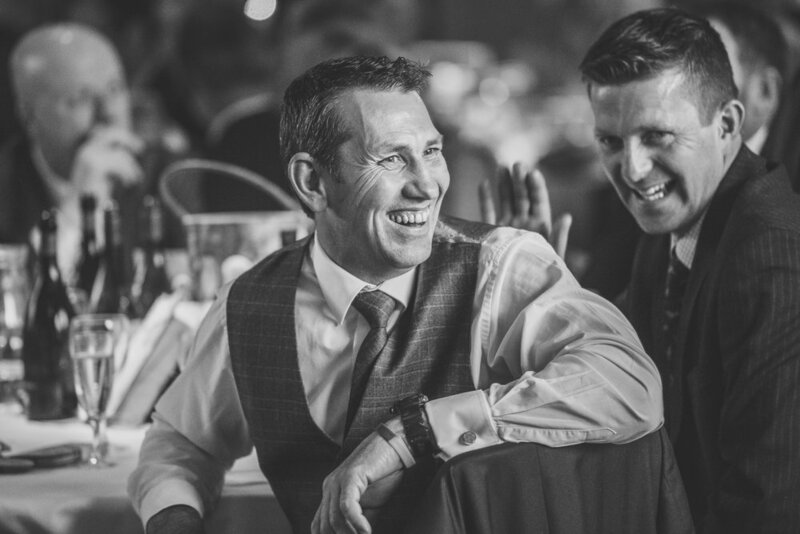 They believe no two weddings should ever be the same, if you are looking for inspiration, they can provide plenty of suggestions, or you're welcome to let your imagination run riot and their team will make your dream a reality. 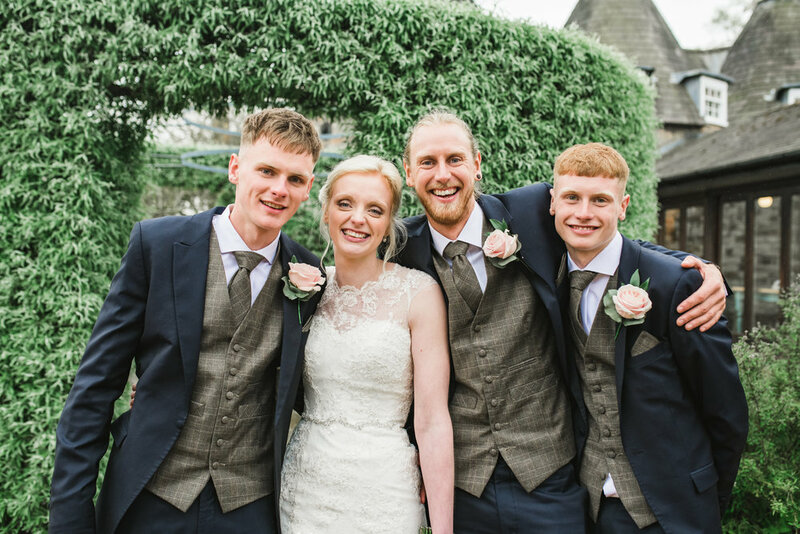 We particularly love the abundance of outdoor spaces at HIghfield Park, whether it’s the blossom trees, the stone foley or the incredible long driveway, there’s somewhere for every possible kind of photo you could want on your day! And even, the most wonderful sunset spot for those dramatic images of the two of you together! With it’s grand central staircase as the focal point of the building, why not having some beautiful images of you and your bridal party on the way down to the ceremony, or even show off those gorgeous dresses in all of their glory! 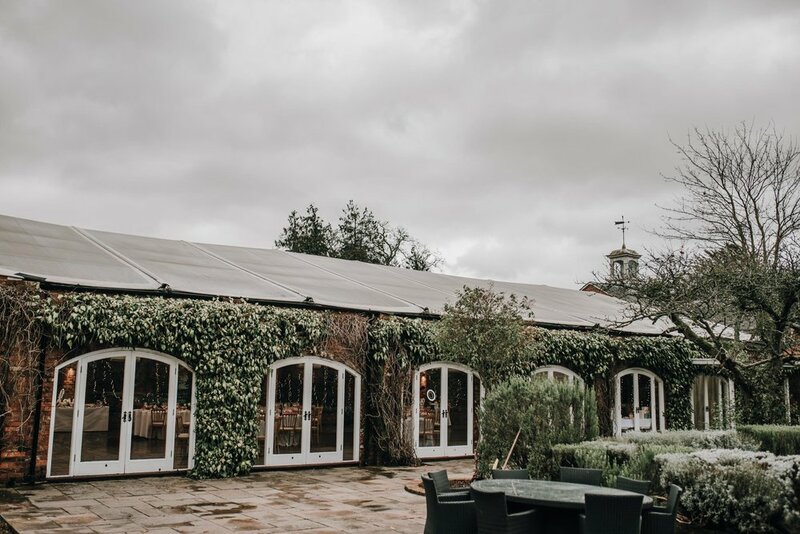 And what better way to round off any wedding, than with a spectacular sparkler tunnel out on the terrace, over looking the Hampshire countryside! Spring time, known all over the world as the beginning of new life, new starts, with little lambs across the country, flowers blooming and all of the wildlife coming out to play! So… what better time to get married and start your new life together as a married couple? 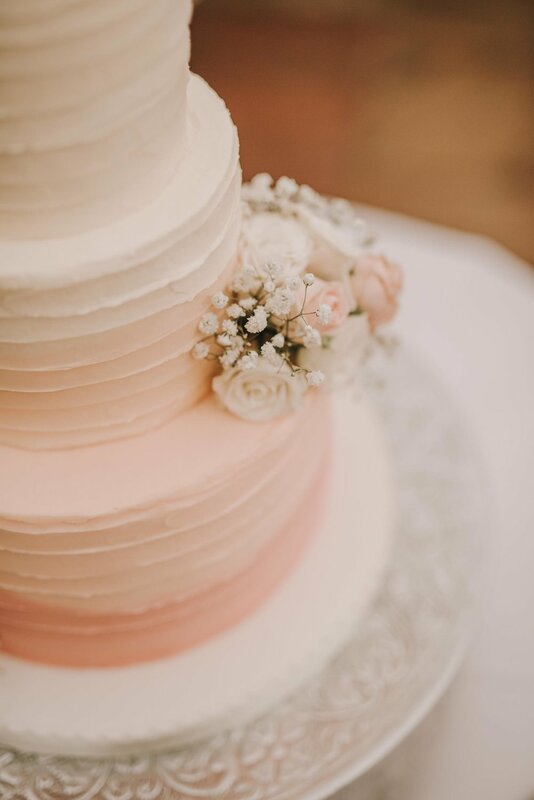 With this in mind, we’ve thought of some things that we thought were worth a mention that might help make your spring wedding perfect! Sunset tends to be on the earlier side in the spring months, and it can often be around the time of first dances, 7pm-8pm, so take this into account when you plan your evening. If you want those incredible dramatic golden hour/sunset photos, you can just quickly google the sunset time on the date of your wedding, and go from there. For the best of the best photos, you want to be free from about 45 minutes before the sunset time. It might be worth a quick pop down to the venue a few weeks or even exactly a year before your day to have a wander around and see what’s blooming! Chances are it’ll be wildly different from your visit 6 months before. Now… nobody wants to talk about the “R” word, but, alas, we live in the UK. And, like it or not, it rains. A lot. It rains in July, it rains in January, it rains whenever it feels like it. So, what can you do to prepare? Number 1, don’t worry about it. Really, don’t stress or worry too much about it. 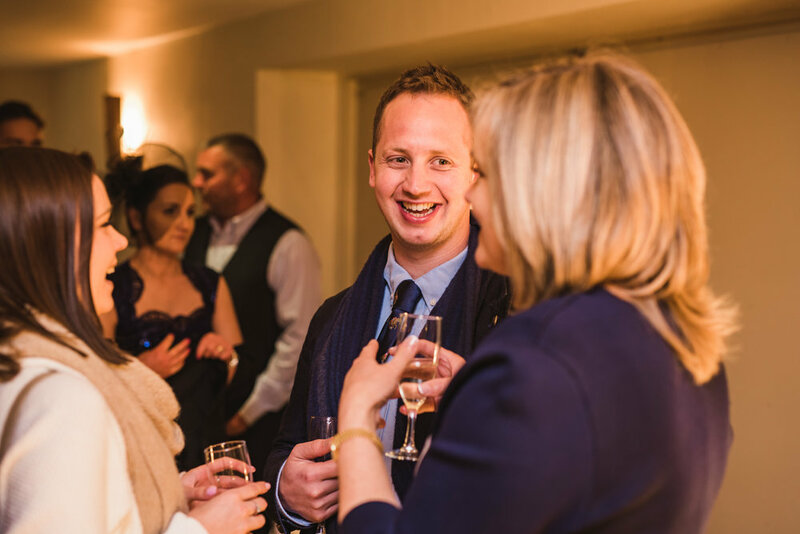 Your venue will have backup plans for inside drinks receptions, confetti and everything. We also come prepared for many situations. And, our spectacular rain photos are sure to be a centrepiece of any living room! Another fantastic thing for your spring wedding, is sparklers! 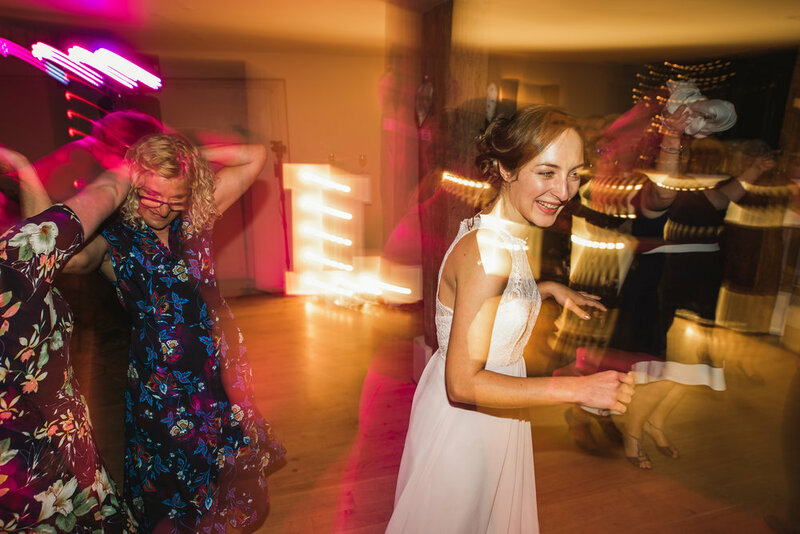 We’ve written a whole separate post for these, but really, spring weddings are the best for it, just warm enough it’s not uncomfortable for your guests, and with it being dark around 8/9pm, it’s the perfect time for your evening guests to join in the fun! 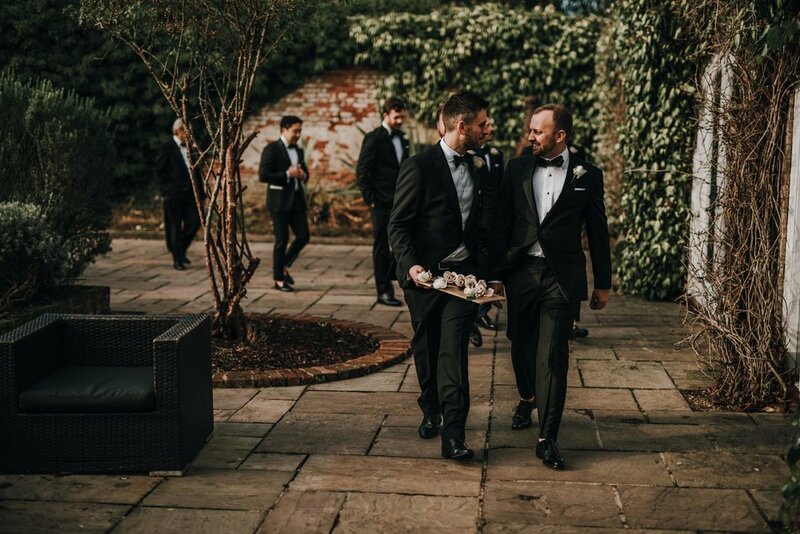 Saturday was a particularly special day for Dan, as he headed along to photograph the wedding of his dear friends Pete and Mim! 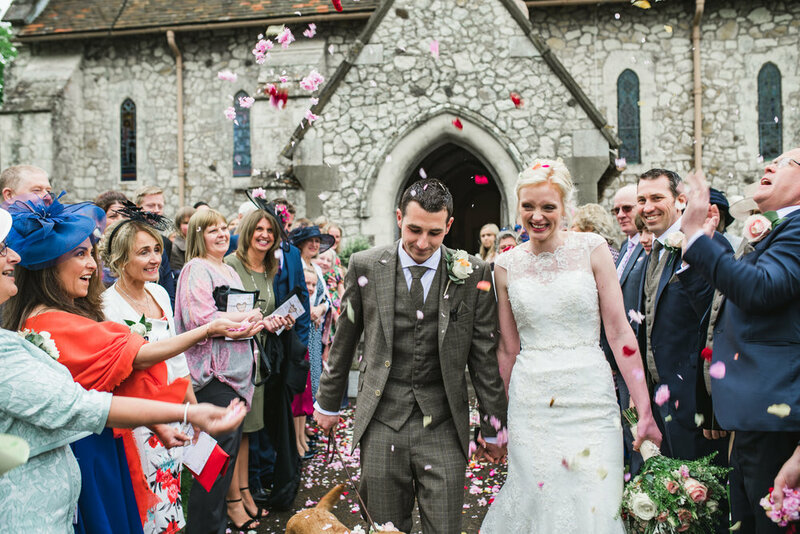 Having known Pete for 10 years, Dan was really honoured to capture their day at Christ Church in Woking, with a beautiful DIY reception at the Welcome Church. 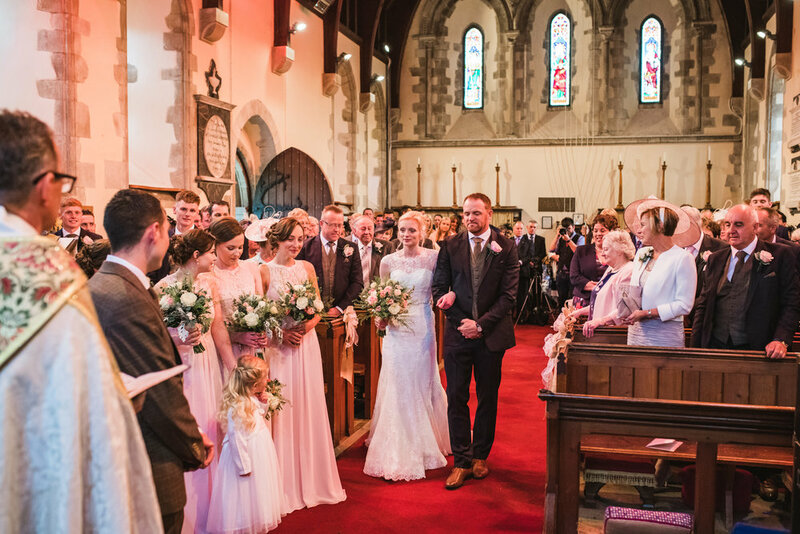 Pete sang and played The One by Kodaline as Mim walked down the aisle towards him, not a dry eye in the house and smiles all around for these wonderful people! Congratulations you two! We’re looking forward to many many more years of friendship with you! Sunset Wedding Photos For Every Venue! So… you want those jaw-dropping sunset photos from your wedding day? That utterly beautiful crimson sky behind you as you laugh through stories of the day while we capture incredible photos? Well… here’s some things to think about. Timing is one of the most important things we deal with when it comes to sunset photos. The time of year, the sunset time, the timing of your day… all comes into play. If you’re getting married in winter/spring, you’ll want to be super careful when planning your ceremony time. Too late, and it’ll be dark. 4 O’clock ceremonies might sound lovely with lots of time to get ready and sort yourself out, but in the winter, sunset photos are out of the window unfortunately. 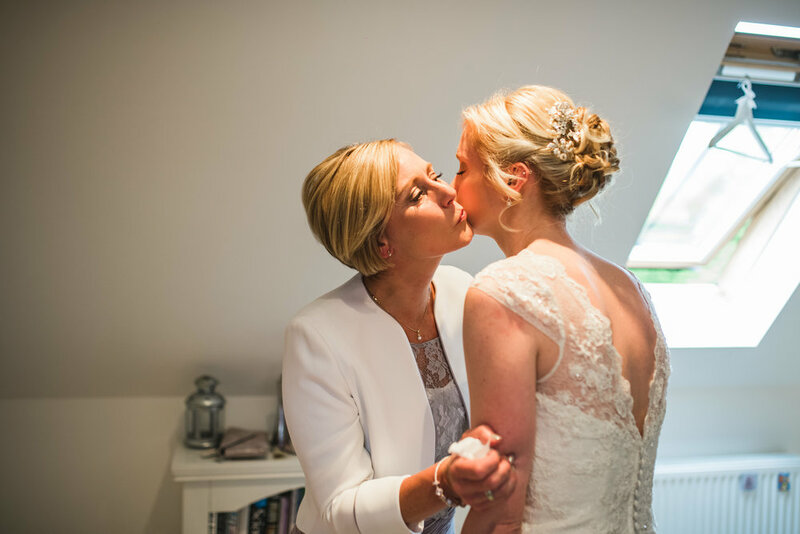 It’s worth looking at what time the sun sets on your wedding day, a quick google of “Sunset time on 7th February 2019 in Basingstoke”.etc, will show you exactly what you want. The best time for photos is usually around 15 minutes before this. Have think about what is scheduled to be happening at that time… is it the speeches? Can you move them either before or after dinner? Is it the first dance? Can you push it back half an hour? 99% of the timings on your day can be moved around. 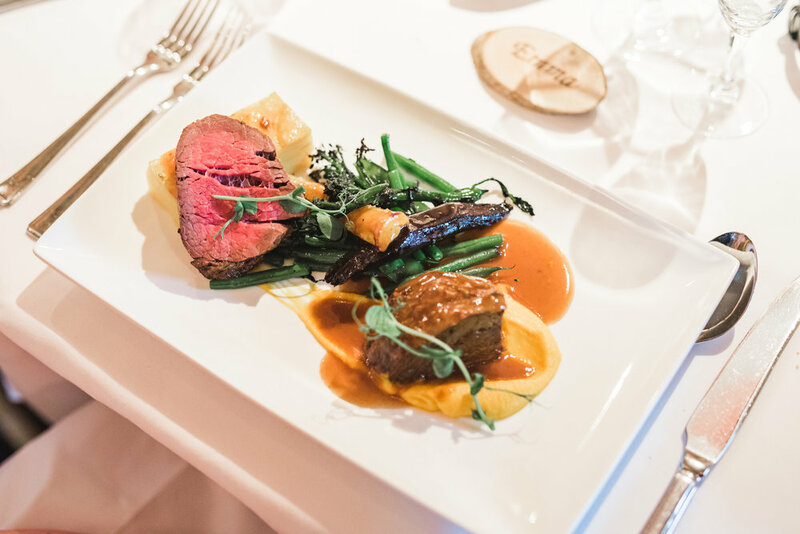 If you’re in the middle of your wedding breakfast, just let us know if you want to be taken out during it, we don’t mind at all! This is obviously out of your control and more so rests on your venue and it’s location, but it’s worth thinking about. A lot of our couples don’t mind jumping in one of our cars for a 5 minute drive to a truly stunning location, and we know a lot of them, so don’t worry. Of course, we try and stay at your venue as much as possible though! A nice hill with lots of open space is usually best, but some trees or other features are also lovely. We can make it work! 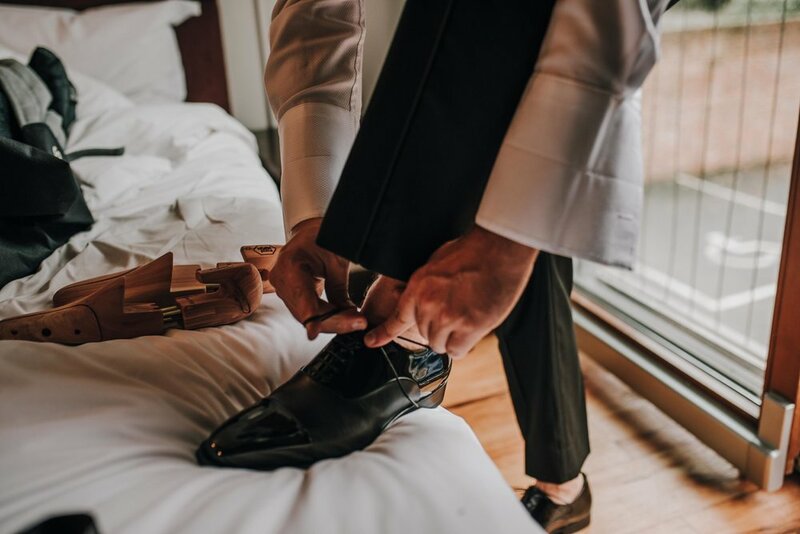 This generally applies to the beautiful bride more than her groom, but wellies are normally an essential, we don’t want to get those bridal heels muddy as sunset photos normally involve grass or a field. We love getting into wide open spaces and capturing you in nature’s glory. Just like Zara and Alex did here, hiking 10 minutes up the field, Zara was a queen! But we think it was worth it for those photos! 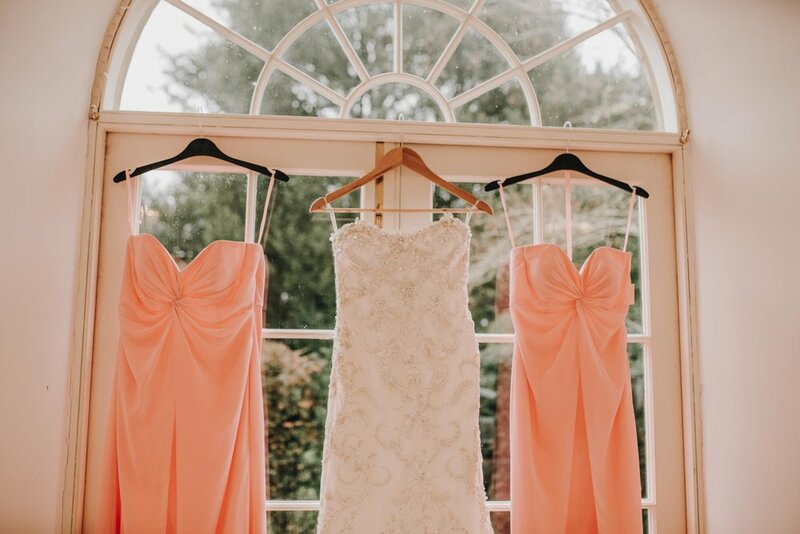 Is there a better place in England to celebrate a beautiful wedding than the incredible Pembroke Lodge wedding venue in the heart of Richmond Park? Surrounded by the gorgeous parklands and wildlife, it truly is a day to remember! 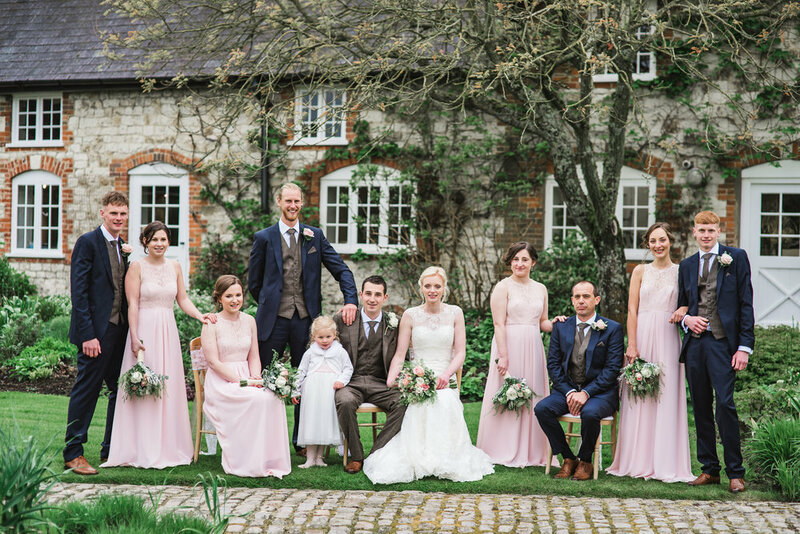 Charlotte & Chris did just this last week, with the sun shining down and drinks flowing, everybody enjoying every minute of this awesome wedding with these amazing people! We had an unbelievably day and created some awesome images, thank you for having us! The BIG One! DM Photography 2018 Round Up Video! Well, here it is! 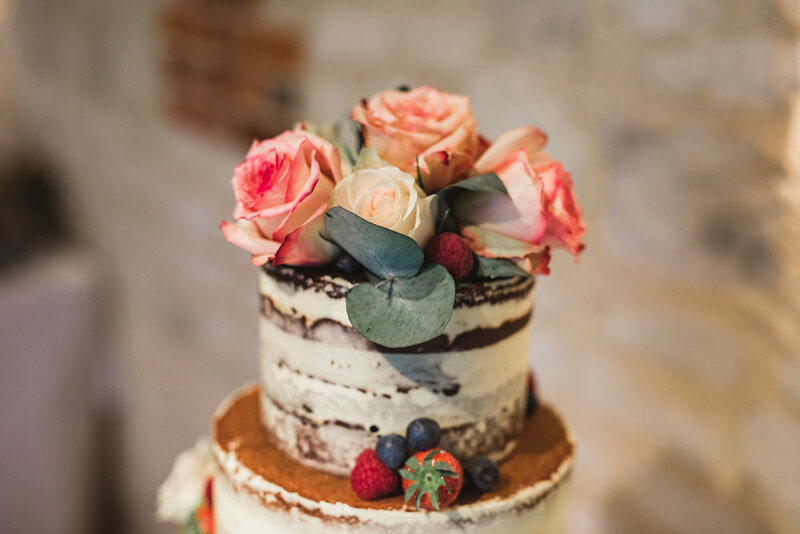 Yes we’re a bit behind the curve, but we’ve been super busy with more than 10 weddings since the start of February, but anyway… it’s here, and it’s real! 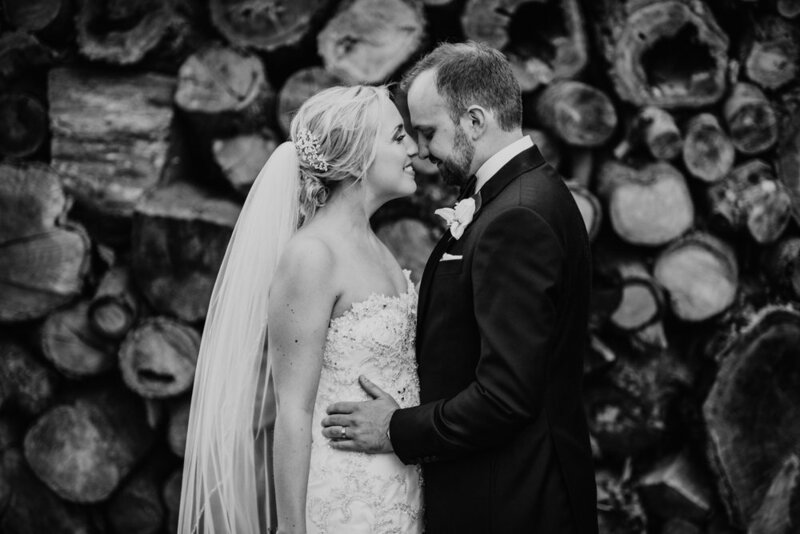 We just thought we’d like to show you a little snippet of what we got up to last year, and to offer a massive, massive thanks to all of our incredible couples from 2018! We cannot create these images without the trust and cooperation from all of you! So… here it is! DM Photography 2018! 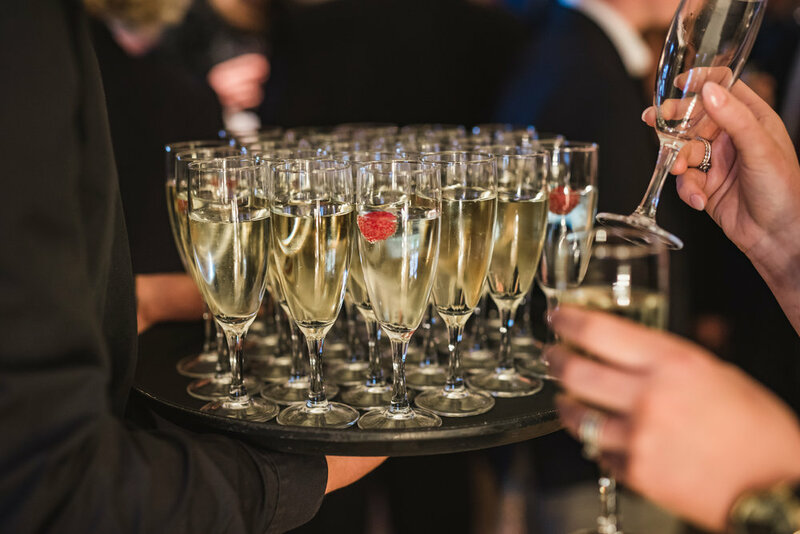 We LOVE weddings at Audley’s Wood hotel in Basingstoke, always being welcomed by all of the staff, and enjoying every single day of work there! With the gorgeous red brick and period wood building, you can be sure of some timeless, gorgeous images! How can you not love this incredible secluded woodland path at the back of the hotel’s huge gardens? Truly a lovely spot for some private images! 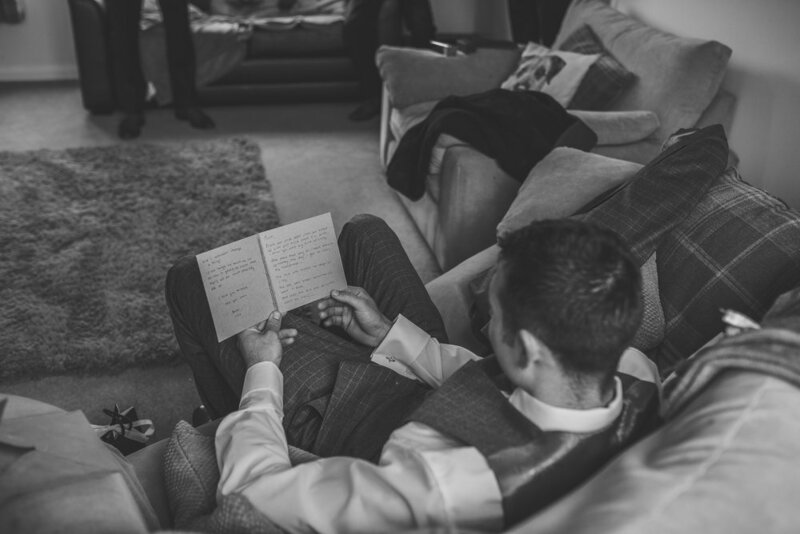 Tom & Michelle chose Audley’s Wood Hotel for their special day, and we were there to capture it all for them! With the large, open ceremony room your wedding is sure to feel as special as the day you started planning it. 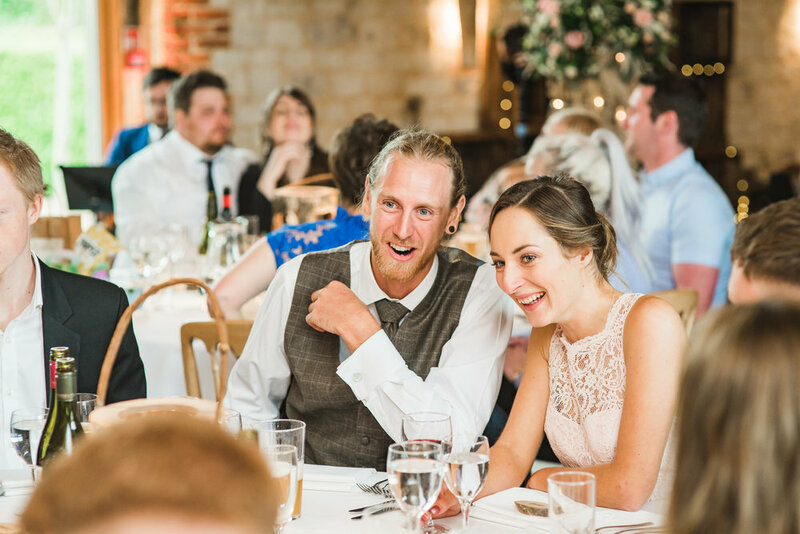 It really is one of the nicest civil ceremony rooms around and every time we go we’re blown away by the work our couples put in to decorating and perfecting the space! As well as the marquee and huge back gardens, why not run out the front for some beautiful woodland and open spaces for photos! Audley’s Wood as everything! 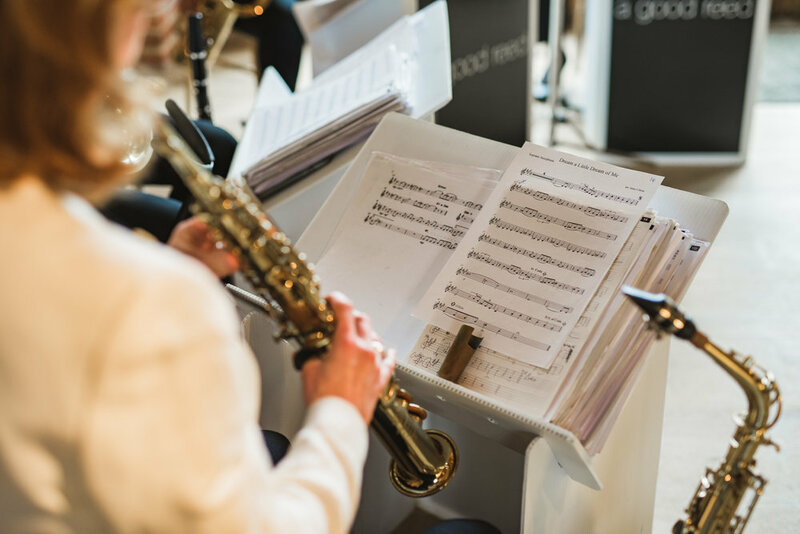 All in all, Audley’s Wood Hotel as cemented itself in our minds as one of our favourite venues in the county, and we always recommend it to anybody who asks! 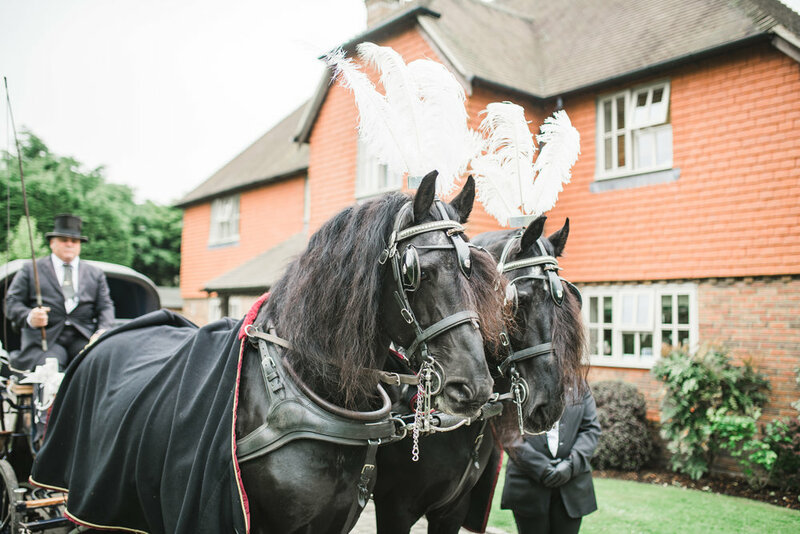 If you’re getting married at Audley’s Wood Hotel, why not give us a call and let’s see what we can do for you! 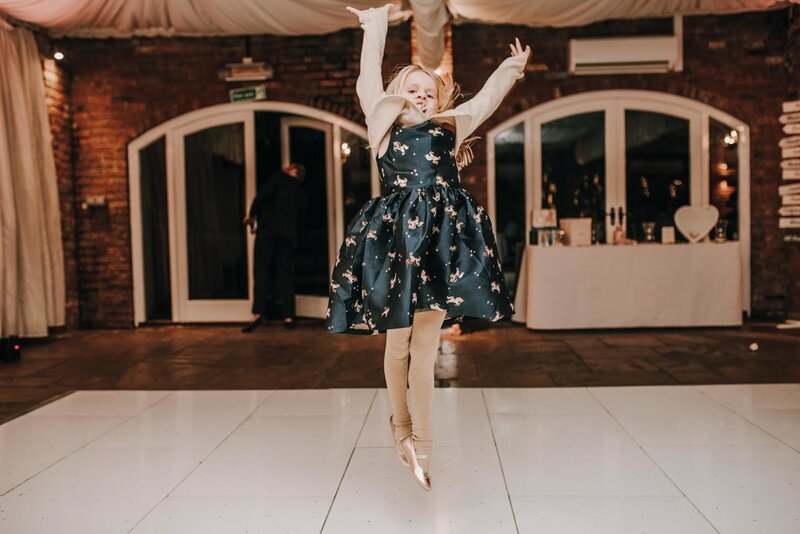 It’s always nice to discover venues a bit out of our usual area, and what better couple to do that with than the amazing Bryony & Scott, and not forgetting their lovely kids Sienna and Keenan! With the sun shining down on Macdonald Elmer’s Court hotel, perched on the coast at the south of the New Forest, what more could they ask for! 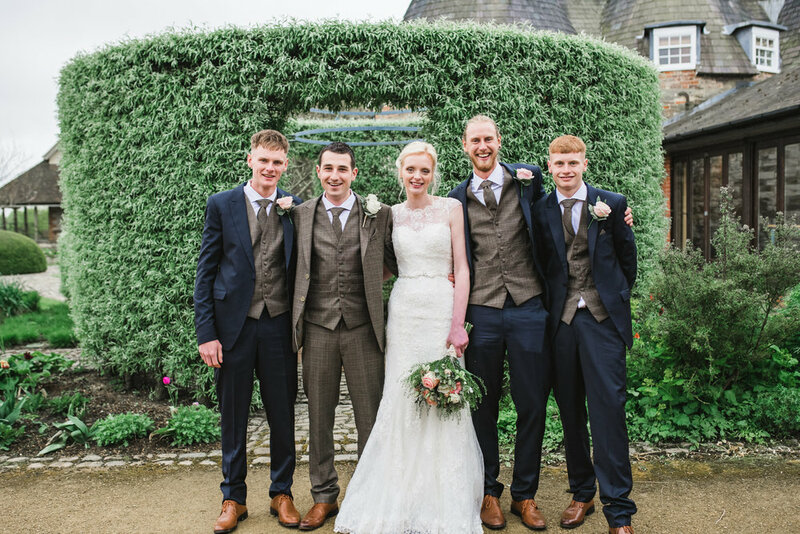 We had the absolute pleasure of being there to capture Kerry & Sam’s wedding day at the marvellous Highfield Park, one of our favourite venues in the country! With the welcome staff and beautiful views of the Hampshire countryside, it always makes for a great day at “the office”. 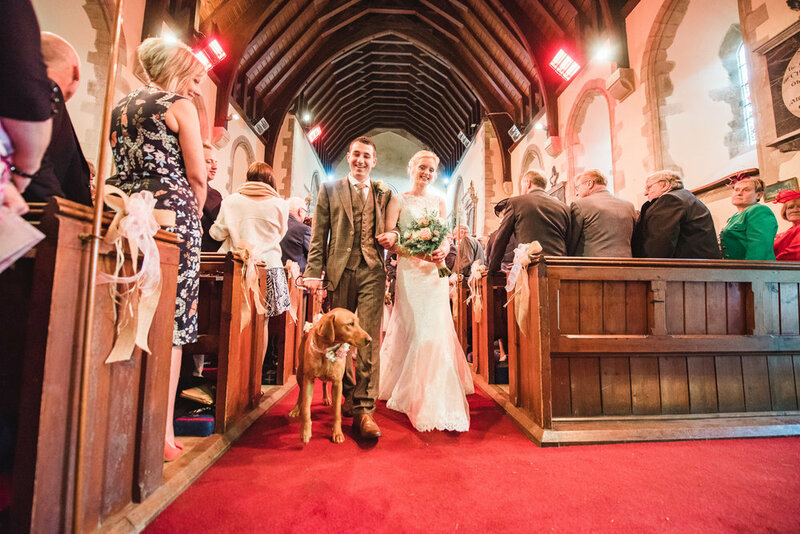 Sam and Kerry’s day was no different, feeling welcomed from the start by all of their friends and family! 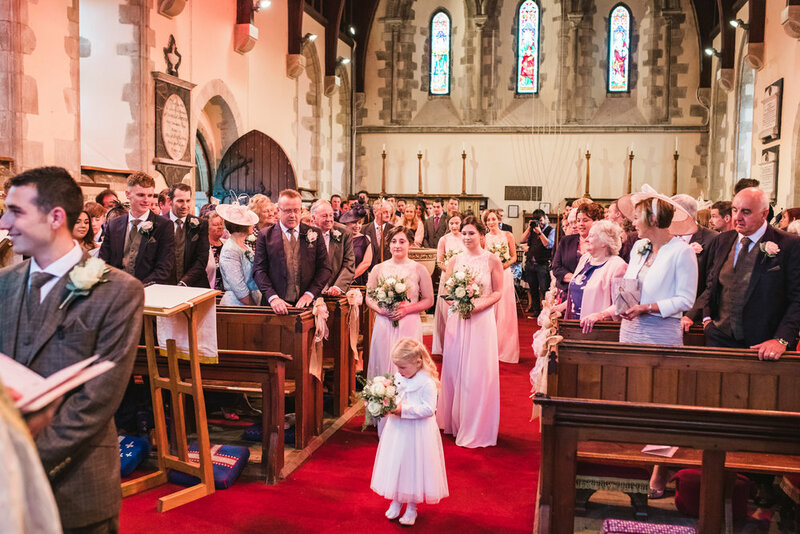 A classic church service in the grounds of Highfield, followed by a fun filled reception, an absolutely beautiful wedding for Kerry, Sam and their daughter Isla to celebrate their little family! Congratulations again guys, thank you for having us. 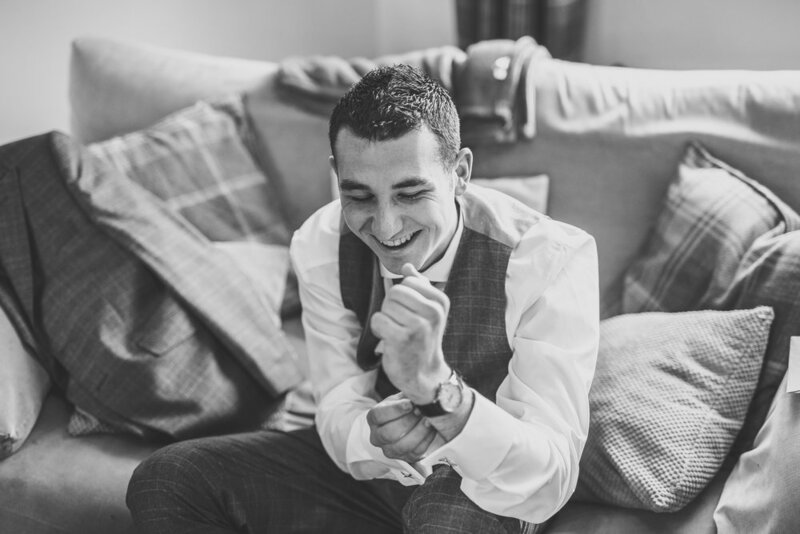 There’s never a dull moment at the wonderful Frimley Hall Hotel, and Beka and Harry’s wedding continued this theme. 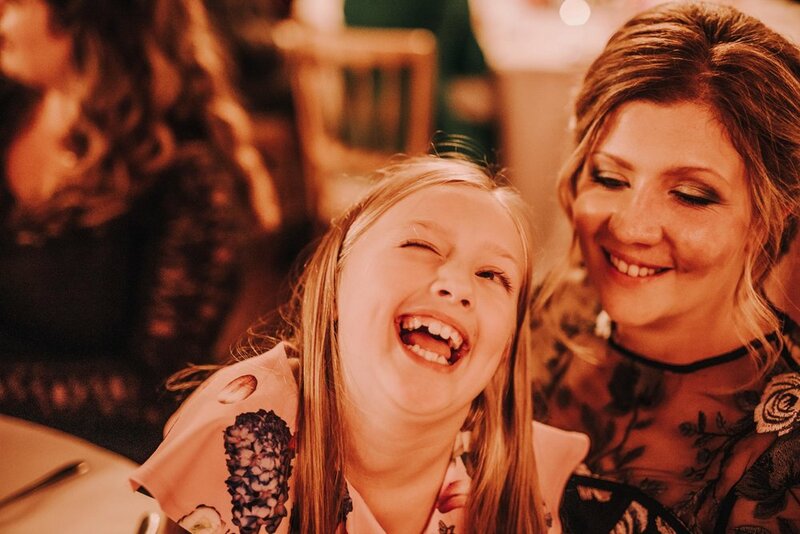 We can’t remember laughing at a wedding so much, enjoying every minute with them and their incredible family. With little Alfie there by their side, it was such a beautiful day and we cannot wish the pair of them enough wealth, love and happiness for the future! As the heavens opened on our way out, neither of them hesitated to run outside and grab some of the most magical rain pictures we’ve ever seen! So thank you. 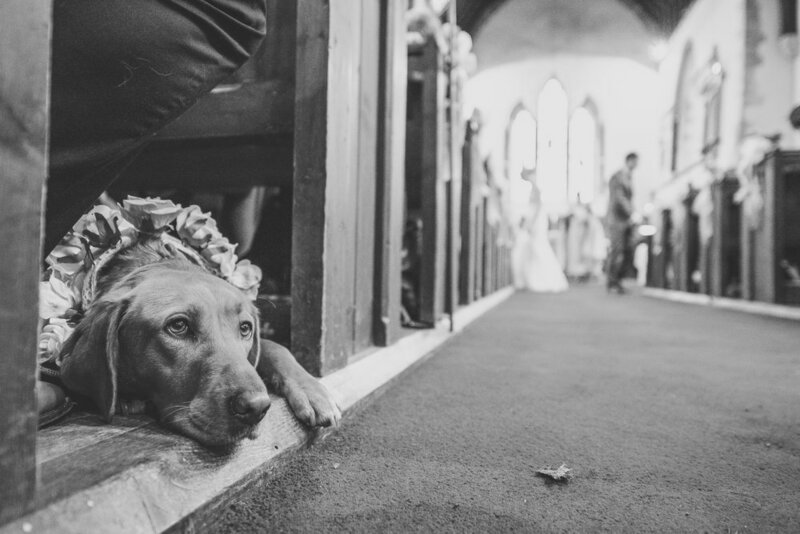 Weddings with kids involved will always have our heart, and Leanne & Tobi did just that! You’re little family truly enthralled us, it was a real joy to be there capturing the marriage of you two, with your little angels by your side! 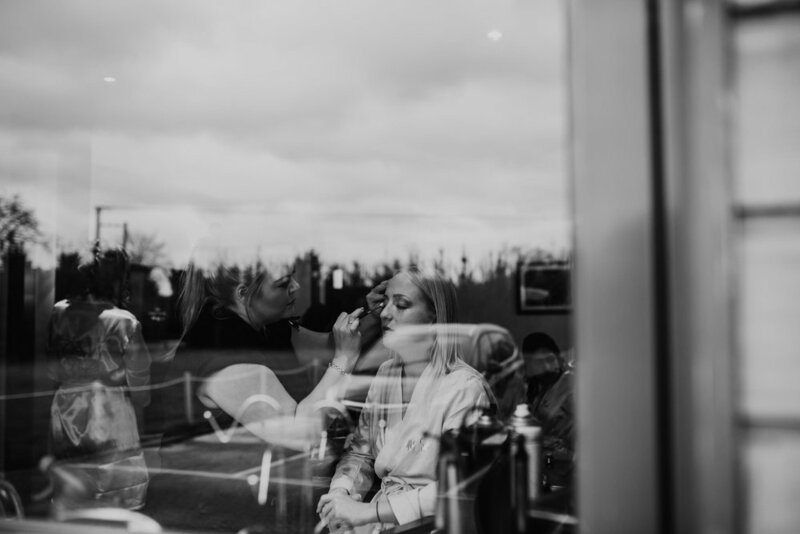 Silvermere Golf Club did not disappoint us, although it was our first time shooting there, we felt welcomed and supported by the event staff there and really believe we captured some amazing photos for you two! Thank you for having us! 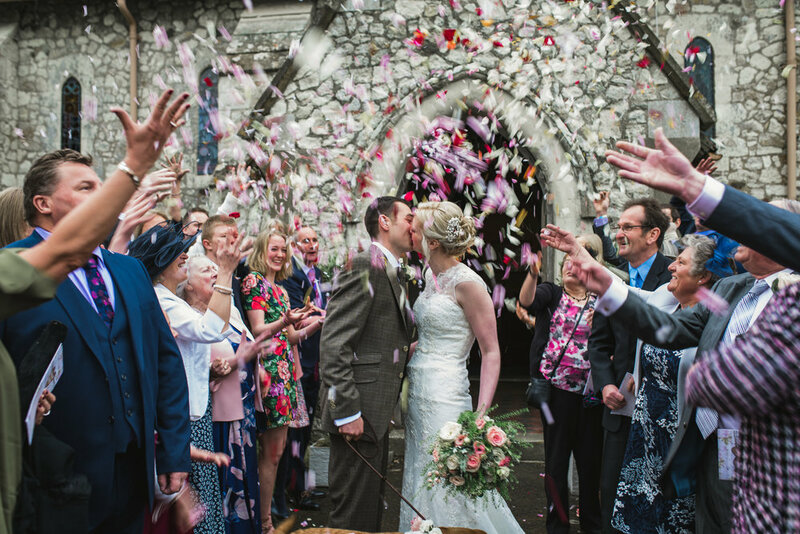 Confetti Tips After 500 Weddings! Who doesn’t love confetti? A centuries old staple of the wedding. 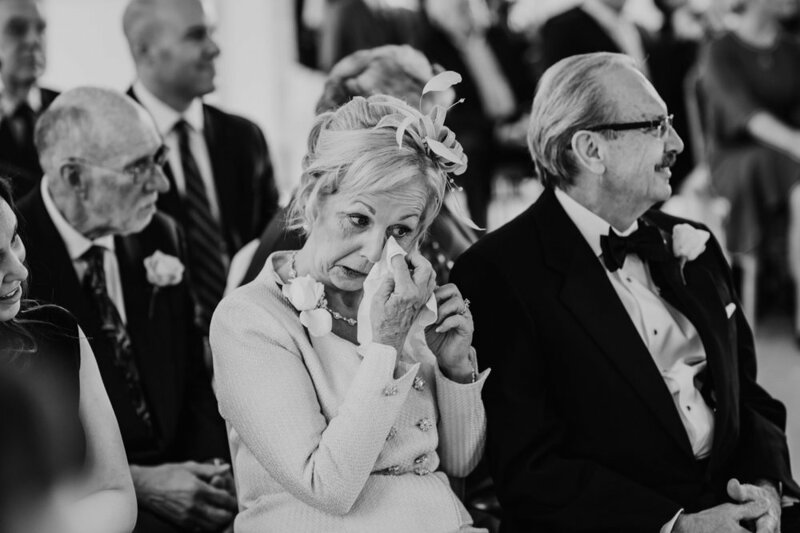 A beautiful, romantic and joyous moment for your guests to wish you well together by showering you in flowers… and hey.. at the same time… getting some awesome photos of it would be good too right? Well, here’s some things you probably didn’t think of. But What Kind Of Confetti? There’s a really easy answer to this… it’s biodegradable, it’s easy to hold, doesn’t blow out of people’s hands, and looks truly amazing in photos… real flower petals! Your wedding florist should be able to help you with some offcuts and a good handful of the petals they usually have lying around! If you can’t get real petals, then the paper/fabric petals are really good too! We like the small dried flowers, however these don’t look as good in photos unless you have a lot! And, speaking of a lot… how much? Well… as much as you can get really. The more the merrier! A rough rough guideline would be a big handful per guest! Paper cones don’t tend to be the best idea as people have to get the confetti out of the cones to throw it! A big basket is perfect! Where Do We Do Confetti? This really depends. 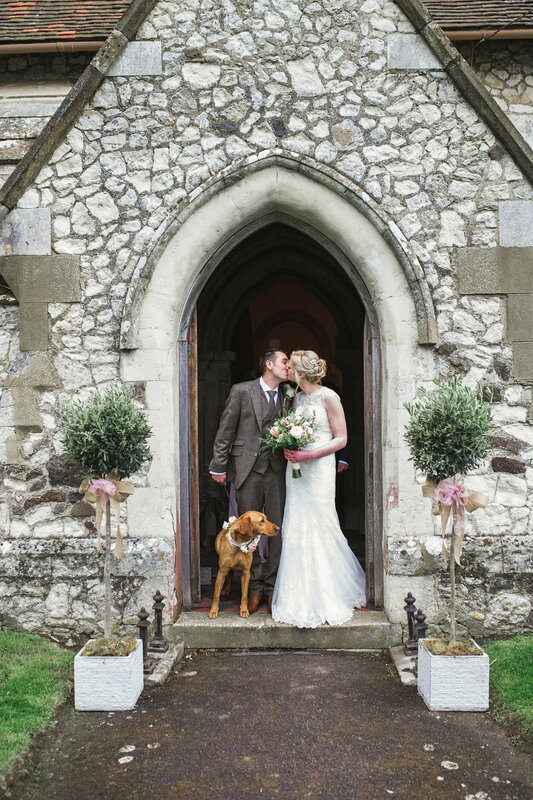 If you’re getting married in a church, then it’ll be wherever the church tells us, some allow us to do it in the grounds, some say we have to do it outside the gate on the pavement, and some don’t allow it at all, in which case you can do it when you arrive at the venue! Most civil venues also have a preferred place to do it, but don’t worry, if it doesn’t make for the best photo possible, we’ll tell them! 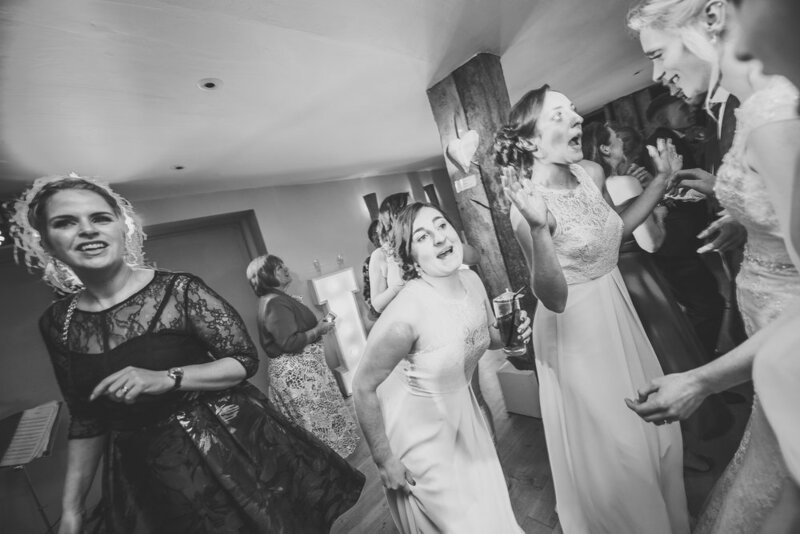 As usual at Audley’s Wood Hotel, Basingstoke, Emily and Rob’s wedding proved to be one to remember! With a wonderfully early ceremony at 1130am, they had all the time in the world to drink, laugh, eat and dance with their nearest and dearest! With a delicious afternoon tea, followed later by a BBQ and then even more food later on, nobody was walking away hungry! 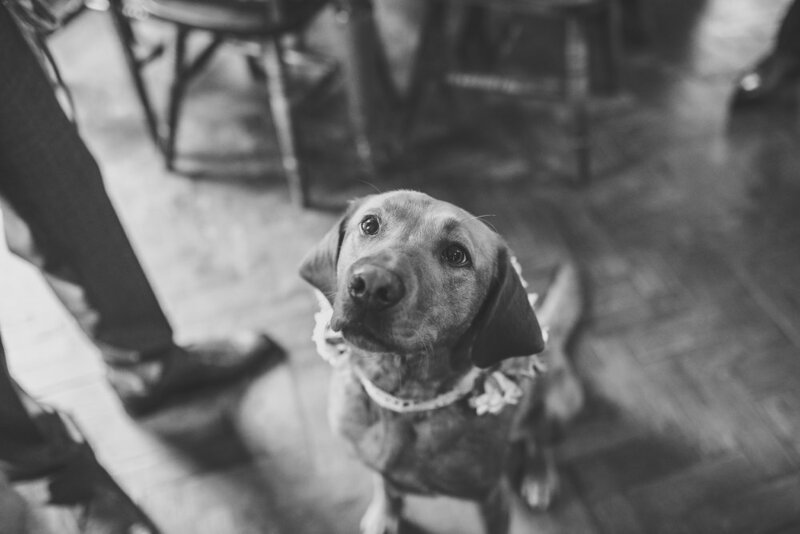 Emily & Rob’s wedding was made even more special with the inclusion of their gorgeous little girl Adeline, who, let’s be honest here Emily… stole the show from you completely! Wishing you guys and your little family all the very very best for the future! Thank you! Beautiful venue, beautiful sunshine, beautiful people… ah, lovely. 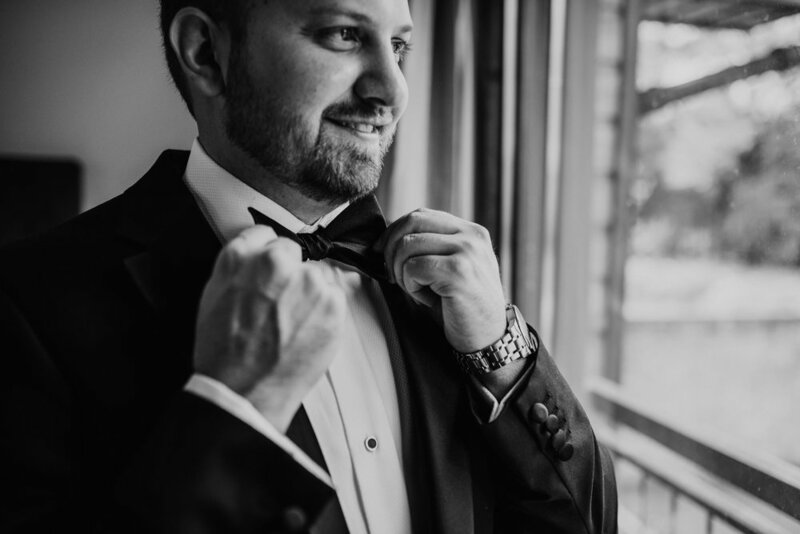 Lauren and Tim, it was a real treat to be with you to celebrate your special day and capture some incredible images for you at the awesome Wasing Park! And when it couldn’t get any better.. Tim arrived in one of three Ford Mustangs from Gone in 60 Seconds! Congratulations you two, thank you for having us! What an incredible day we had with Hannah and Josh! 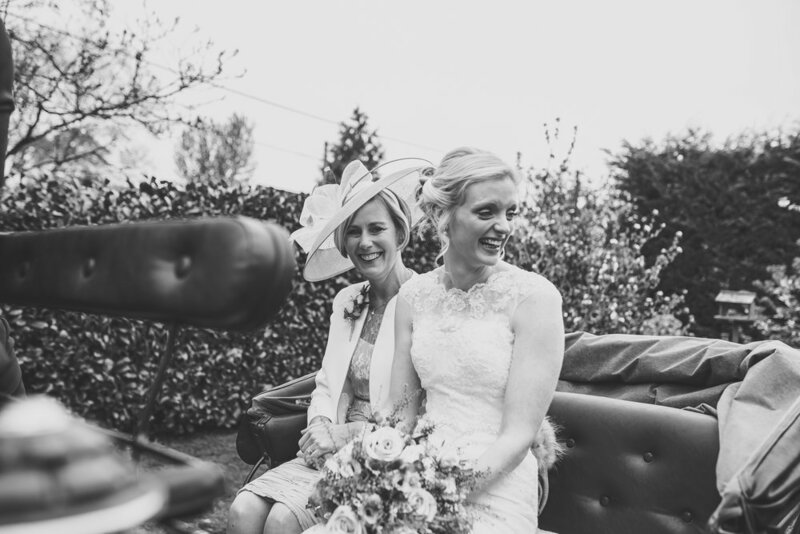 Sun shining, smiles all around, with a gorgeous church ceremony followed by an awesome celebration of their love at the incredible Trunkwell House Wedding Venue in Berkshire! With Hannah’s loving parents, and Josh’s amazing Nan by their side, nothing could touch them! Congratulations you two! It was a pleasure! Is there anything more spectacular than a wedding decked out in the finest dress the British Armed Forces have to offer? I think not. 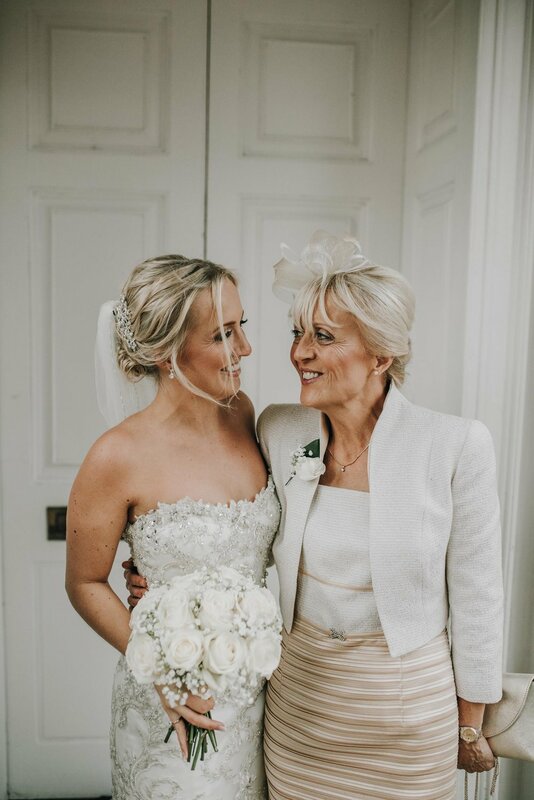 Catherine and Ash celebrated their amazing day at the incredible Sandhurst Royal Military Academy, followed by an awesome reception at the one and only Highfield Park Wedding Venue! 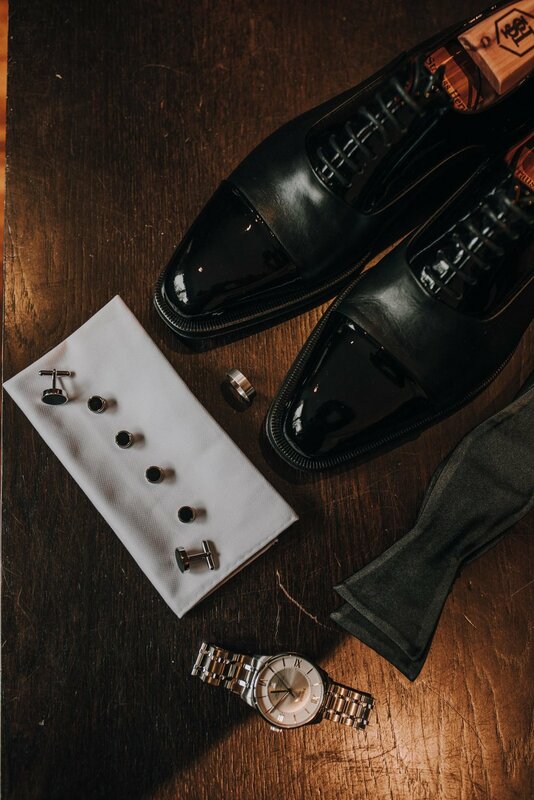 We love love love heading over to spend the day working with the fine folks over there, their attention to detail and care is second to none and we cannot recommend them highly enough. 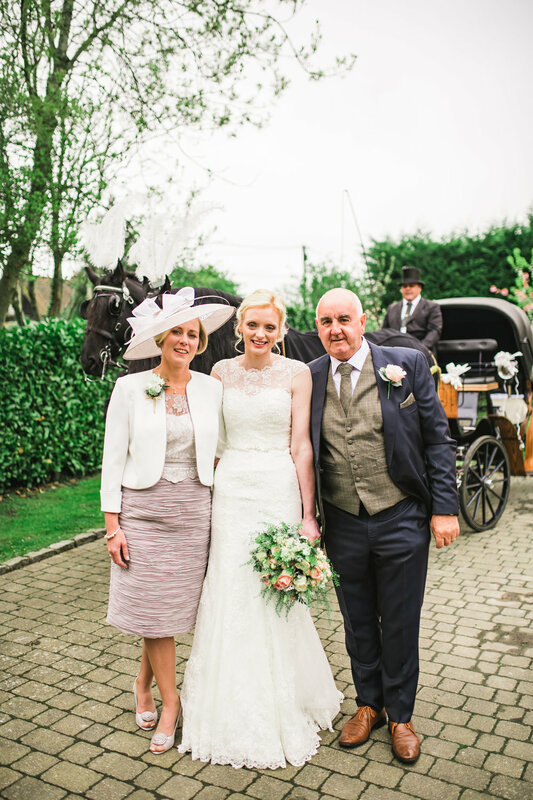 Catherine & Ash, thank you, thank you, thank you, and once again… congratulations to you both! 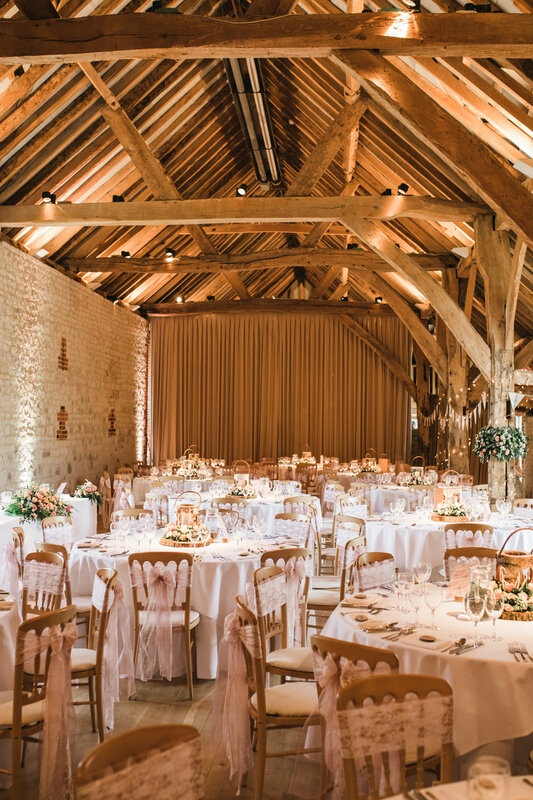 Bury Court Barn in Bentley, Hampshire is quite possibly one of the most beautiful and natural venues we have had the pleasure of photographing in, so it’s always nice to go back! 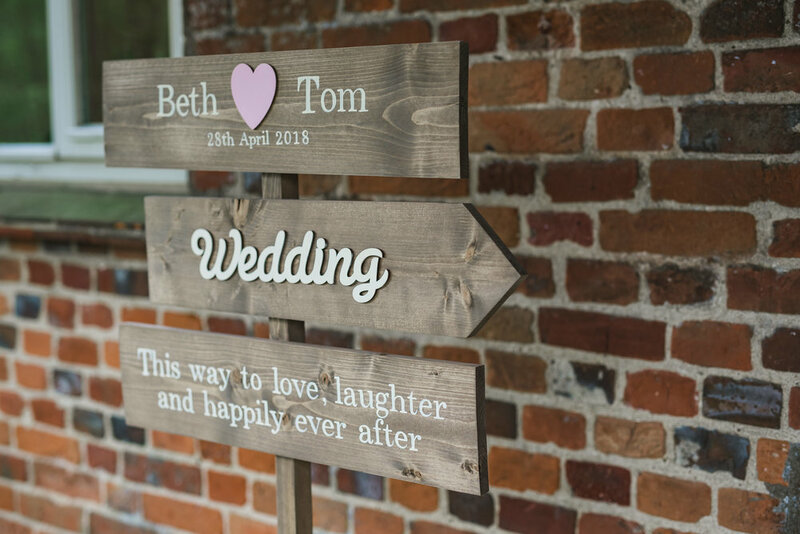 Beth and Tom’s day was no exception! With the inclusion of Beth’s darling dog (one of many Tom uses for work), we had such a brilliant time with them and their family! The love shared between these two and the people around them is staggering to witness and it was a real privilege to be there with them all. 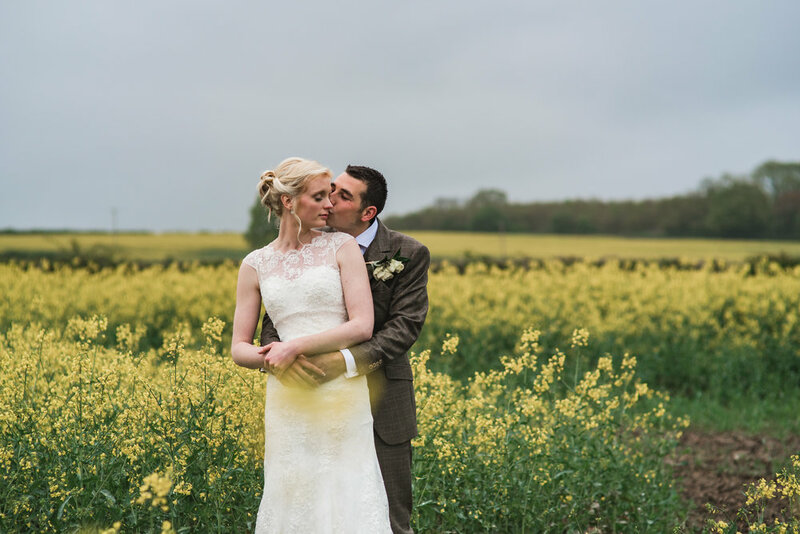 Is there anything more romantic than a shower of gold surrounding the happy couple? Nope. We agree! 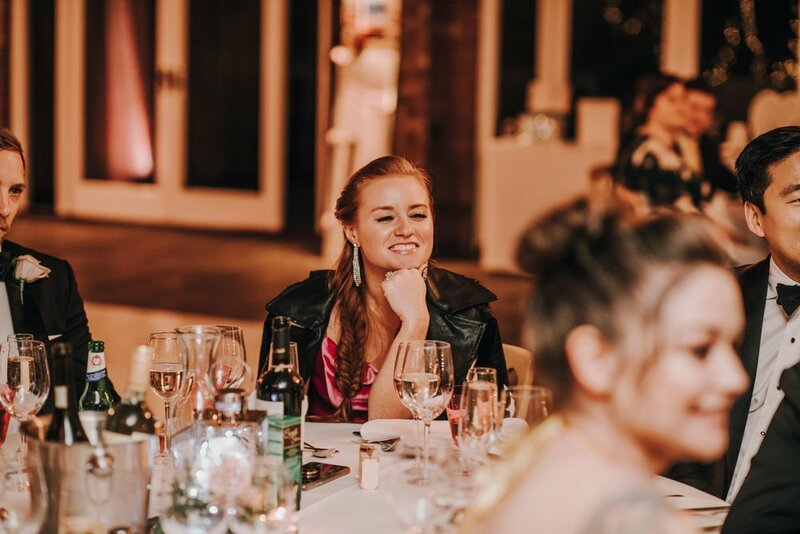 And that’s why we think sparklers are a great addition to any wedding, although, theres a few things you should think about first. 18” gold sparklers. These are simply the best, they burn a beautiful gold, and last for over 2 minutes. 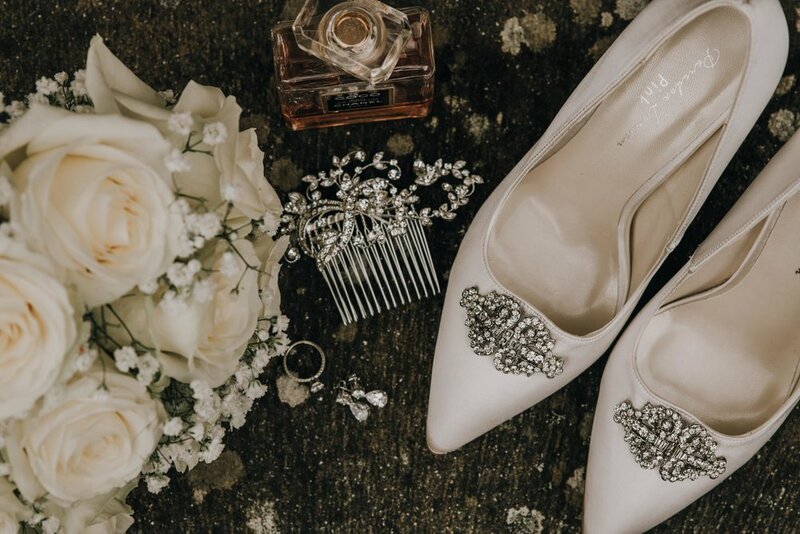 They’re not too expensive on www.wedding-sparklers.co.uk use code 5%OFFDMP The smaller ones may seem like a good idea, but by the time all of your guests have had their’s lit, the ones at the start have burnt out. Not good. We LOVE sparkler tunnels that get all of the guests involved! Especially if you do it later on when your evening guests have arrived, it’s a nice way of including them even more in the festivities! It does need to be dark as well for the best look! 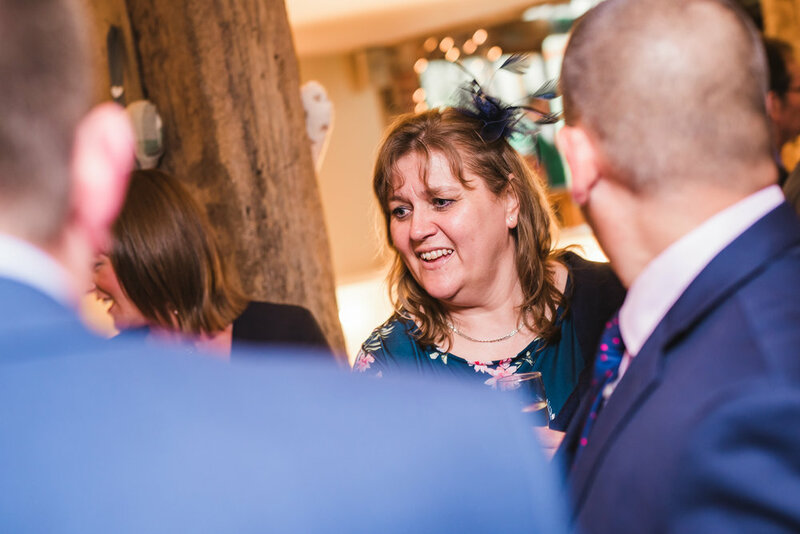 Where is really up to your venue… some of them have rules about where you need to do them, so it’s worth asking! It’s worthwhile having a metal bucket around to collect the sparkers after the photos! These can be found in any garden centre or DIY store. Another thing we feel we should mention is if your guests are completely, senselessly drunk… we won’t organise the photo, we need to feel comfortable walking through the middle of the sparklers to capture the amazing photos, and there was only 2 occasions out of the 106 weddings we did last year that this happened, it’s nothing personal, we just like to feel safe at work! 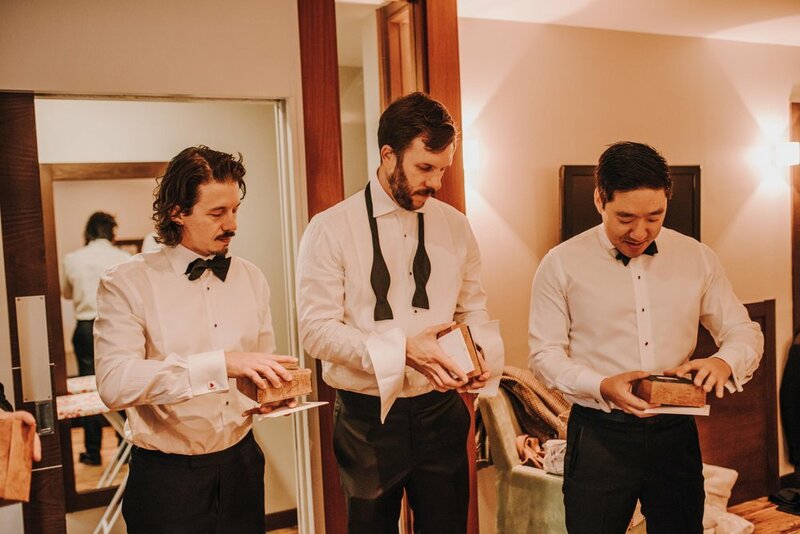 If you can, appoint 4 guests (groomsmen usually work well for this) to be the “lighters”, we can explain to them what to do, but it helps if there’s designated people for it!